You never know what you might find in Issue 9.8. This time around we’ve got fiercely carnivorous spouses, soggy houses, and physically caustic mothers. Our Flash Monster 2018 contest is now if full swing, so send us your abominable literary creations for our Halloween mega-issue. Wait until you see what we’ve got cracking in Issue 9.6. This issue features lung deactivation, freewheeling amputees, and caged love. Time’s running out on our Flash Beast contest. The soft deadline strikes within hours, though you slackers can always count on a Procrastinator’s Special. Issue 9.4 isn’t something you see every day. This go-round stalks disoriented prey, pulls horror from the briny deep, and beds down for a twilit apocalypse. 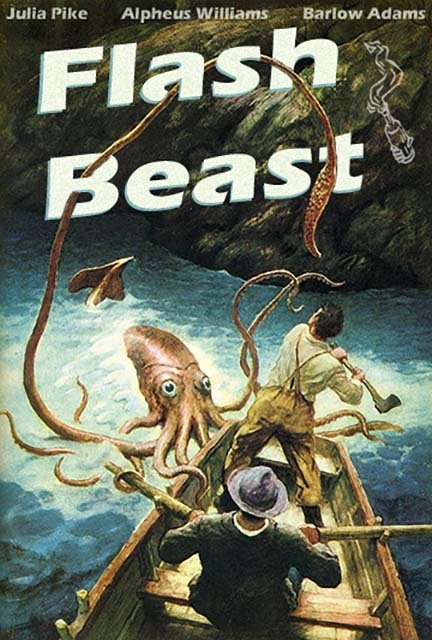 These three stories also serve as some fine inspiration for our Flash Beast contest; less than a month left until the soft deadline for those animal-themed entries. Issue 9.3 will put a spring in your step. This issue features festering roadkill, hardscrabble troubadours, and impatient specters of death. The deadline is creeping up for our 3rd annual Shadow Award poetry contest. Get those dark and offbeat poems turned in. And we’ve also got our animal-themed Flash Beast contest in full swing.